Salt Lake City’s professional dance scene is extensive and nationally respected, a significant accomplishment in a city of this size. 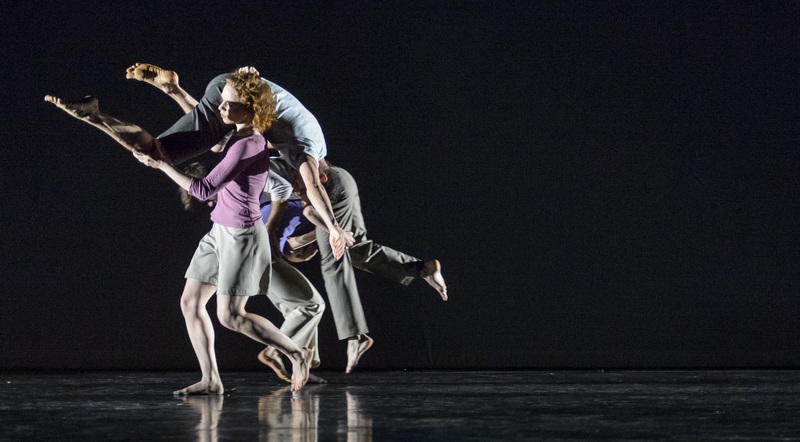 In additional to Christopher Ruud’s works premiere commission which will be performed by members of Ballet West, four dance companies are performing at this year’s Utah Arts Festival. Ririe Woodbury, June 27, 6 p.m., Festival Stage. After an enthusiastically received season for its 50th anniversary, the Ririe-Woodbury Dance Company returns to the festival stage presenting excerpts and short works from its most recent production. Daniel Charon, who is completing his first season as artistic director for the company, says the dance community is lucky to have such major community support, which includes the visibility at the festival. 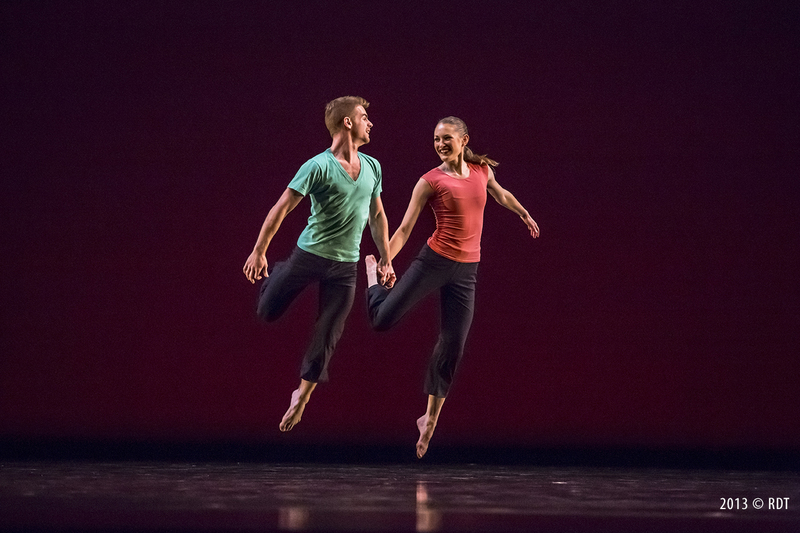 The 50-minute program, which includes many examples of super-charged, athletically inspired choreography, will include a seven-minute duet piece from 2004 titled ‘Gravitate’ by John Allen, a choreographed exploration of how relationships evolve over time. 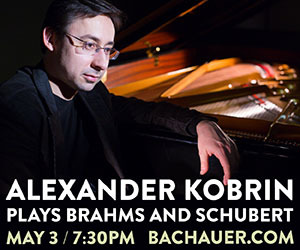 The music of Phillip Glass is used in the piece. Another work is ‘States Rendered,’ which Emma Wilson of the Artists of Utah’s 15 Bytes magazine described as a masterful piece in “creating architectural forms with bodies and then displacing one valuable component of the structure to launch the mass into a different form with angular movement that looks comfortable on the dancers because of their input in the process.” Choreographed by Doug Varone, an internationally known dance artist who also is on the University of Utah faculty, the work was premiered at the company’s spring concert ‘Accelerate,’ and featured a video projection created by Ellen Bromberg, also of the university’s dance school and a pioneer in screen dance. The work has a distinct futuristic feel. Charon’s own work, ‘Construct,’ will also be performed featuring originally performed video. The vdeo created for the premiere, addresses the tensions everyone faces today in terms of maintaining authentic senseless individuality against a backdrop of social, digital, and multimedia technologies in which constructed realities seem to have become the inevitable norm. While the outdoor performances preclude any effective use of video media, ‘Construct’ will feature live music by Michael Wall, who composed the score for the work. The program will close with ‘In Crisi,’ a work by Jillian Hartis which is a fun, teasing poke at Italian-American cliches. Repertory Dance Theatre. Photo by Nathan Sweet. 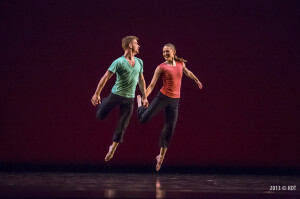 A perennial festival favorite which has just completed its 48th season, the Repertory Dance Theatre is keeping with the spirit of the event and presenting some of its most energetically received works, according to Linda Smith, artistic director. This includes Joanie Smith’s choreographic interpretation of Maurice Ravel’s ‘Bolero,’ an orchestral warhorse, which was presented at the company’s ‘Lively’ concert last fall. In choreography, ‘Bolero’ matches perseverance, relentless forward movement of Ravel’s music, and demands incredible dancer stamina. Also scheduled are excerpts from Susan Hadley’s ‘Fin Amours,’ which also was presented at the sane concert. Created in 2001, ‘Fin Amours’ comprises nine duets with music of the medieval troubadours. It is a charming contemporary take on courtly love, with some movements coy and flirtatious and others more seriously romantic. Other works include short amusing pieces by Marina Harris with the clever titles of ‘Green Jello’ and ‘Tico Tico’ as well as the Utah premiere of a piece by the late modern dance pioneer Michio Ito. Dancers will be joined by students of RDT’s Young Dancer Workshop who will have worked with the company the week before to create a choreographed piece to be premiered at the festival. Also, this will be the final time that Aaron Wood and Katherine Winder will join the company on stage before moving onto new careers. Always a festival crowd favorite, Samba Fogo, the city’s most dynamic cultural ambassadors for Brazilian dance and capoeira, will perform on the Festival Stage instead of its usual spot in The Round on the Library Plaza. 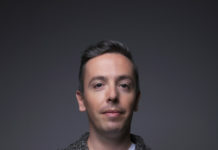 Although the change of venue means the group will not be able to use fire in its show as in previous years, because of city regulations, Lorin Hansen says the forum has added some new pieces featuring 10 dancers, 15 drummer, and Samba Fogo’s new lead singer, Solange Gomes from São Paulo, Brazil, who also runs the local group Tablado Flamenco. Along with new performers, songs and costumes, Hansen says the finale will include a Rio-style dance routine featuring the cavaquinho (small guitar), played by Aaron Nelson, and electric guitar by George Brown. University of Utah Tanner Dance Program Children’s Dance Theatre, June 28, 4:30 p.m., Festival Stage. 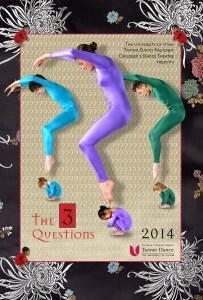 The group will perform ‘The Three Questions,’ based on a Leo Tolstoy short story. A young prince who is about to become the Chinese emperor on his 18th birthday, must answer three questions: When is the best time to do things? Who is the most important one? What is the right thing to do? The production is updated from an earlier version (2004) and includes an original score by Tristan Moore, the company’s resident composer. The children are sure-footed performers, whether in the Capitol Theatre, or in the statewide touring programs that have reached as many as 4,000 students each week – or even in an outdoor venue where the wind might kick up unexpectedly. The children’s program encourages the students to feel confident about making creative suggestions for choreography as much as it is learning about the art of performance, according to Mary Ann Lee, director.